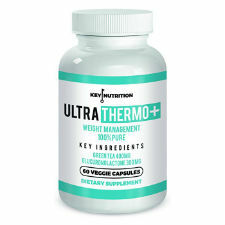 UltraThermo+ from Key Nutrition, is a weight management dietary supplement. 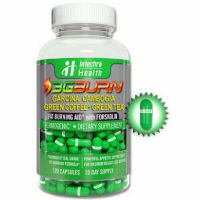 Its formula supposedly helps to suppress appetite and boosts metabolism and energy. It promises rapid weight loss without jitters. If you’re looking for a way to keep your sugar cravings in check and enhance your mood, this may be a dietary supplement worth looking into. That being said, the only real way to know for certain if this non-prescription diet pill can do what it says, is to inspect its formula. This entry was posted in Non-Prescription Diet Pills Reviews and tagged 5-Hydroxytryptophan, caffeine, Coleus Forskholii Root Extract, Glucuronolactone, green coffee bean extract, Green Tea Leaf Extract, Theacrine, Vinpcetine on April 24, 2017 by Diet-Pills.cc. 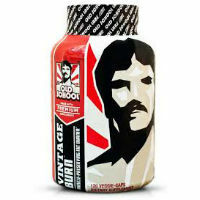 Vintage Burn is a non-prescription weight loss aid designed to burn fat, preserve muscle and improve mood and focus. 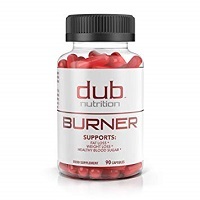 The manufacturer boldly states on their product page that Vintage Burn is the “World’s first muscle-preserving weight loss supplement”. It is composed of premium ingredients that have been supposedly hand-selected for their potency and purity. The claim is that this formula is both safe and effective. This entry was posted in Non-Prescription Diet Pills Reviews and tagged Bacopa Leaf Extract, caffeine, Chrysin, Forskohlii Root Extract, garcinia fruit extract, green coffee bean extract, Green Tea Leaf Extract, Olive Leaf Extract, Raspberry Ketones on December 8, 2016 by Diet-Pills.cc.